Well, yes, it's been a while and there is a good reason for this. I haven't seen anything! Well almost nothing. Friday I saw a Rat running along the hard shoulder, and then tonight whilst attending to the feeding of one of my over wintering bats I spotted a Lacewing and a Cellar spider, known to most of us as a Daddy Long-legs. That brings my total up to 59 species when I should be on 72. Now I know that puts me behind, way behind and I knew this would happen. But I'm not at all worried, as I know that spring is not too far away and nature will provide me with an abundance of species to record (I hope). Yes, time for an update. Last week I got another bat call making three calls in one week. 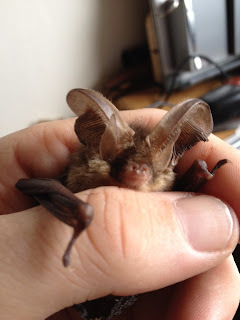 This bat had no injuries whatsoever and was disturbed by some builders who did the right thing by stopping work and calling me, then calling a bat ecologist for advice. The bat is another Brown Long-Ear, like the one who was sadly put asleep earlier in the week. I said I would post a photo of the one that I already have hibernating in the shed, but now I have a picture of the one I collected this week. bat out of the air. Above you can see the injuries caused by the cat. 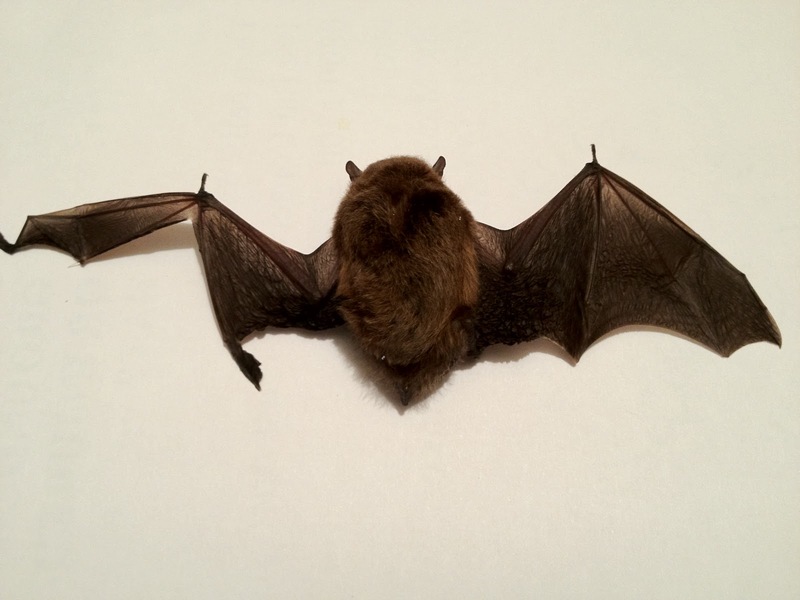 As you can imagine, this is a fatal injury to a bat if left in the wild as it is unable to fly and therefore unable to feed. If the bat doesn't die of shock or predation, it will starve to death. So at least with bat care, it is given a chance. Until next time my dear followers, take care.